Finding the perfect office solution is one of the biggest issues faced by businesses. Whether they need to a professional space during trips, require a room for meetings twice a week, or simply want to jump into a nearby workspace to reduce commuting times, it’s a tricky proposition to get right. 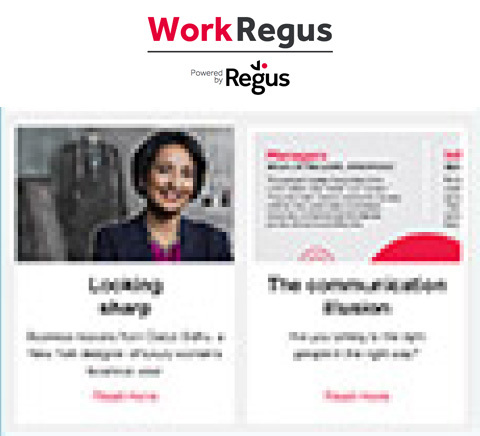 The Regus app has been designed as as a one-stop shop for all meeting room and office space needs. Users can both browse and book meeting rooms and day offices 24 hours a day, seven days a week, instantly and all over the world. The app is multilingual and provides a clear cost overview to keep budgets under control. “We developed the new app in line with our mission to help our clients elevate their productivity,” explains Wayne Berger, Canada and Latin America CEO of IWG, Regus’ parent company. “We gathered feedback from our clients to find out how we could make their work day even smoother. Based on the response, clients can now easily manage their workspace needs on the go. The app is designed to be accessible and easy to use: it does not require a contract, nor are there any sign-up fees. What it does do is open a window onto the biggest network of meeting rooms and serviced offices anywhere in the world, with 3,000 locations globally as well as more than 10,000 inspirational, ready-to-use and customisable spaces. Each is equipped with a wide range of services including catering, coffee service, reliable internet and professional staff. Meeting space can be tailored, too, and customers can add extras such as lunch or videoconferencing. Plus, there are useful booking reminders to appraise users of their purchases. The app has been downloaded more than 100,000 times with almost 1,000 five-star reviews on Google Play. 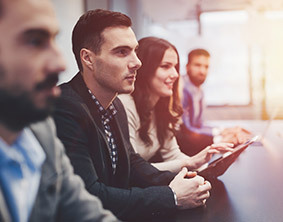 Despite this success, the app is constantly being refined, drawing on feedback from clients, and now boasts number of new features such as enabling users to open the door to their new meeting space with the app itself. The latest update also allows customers to get a six-month snapshot of all unpaid invoices, with a downloadable invoice history. The app also provides a passport to all IWG products and third-party services, such as airport lounges, stationery and WiFi hotspots. There’s also a 10% discount on meeting rooms and day offices if you create an account, plus access to exclusive benefits and tools, from discounts to free WiFi.